The mission of SWAT is to educate students about HIV/AIDS, Substance Abuse and Hepatitis C through prevention activities that positively influence attitudes and behaviors toward effective decisions that promote healthy lifestyles. 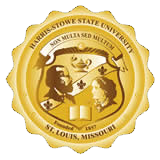 The Harris-Stowe State University SWAT Team is sponsored by the Office of Counseling Services. Established in 2008, SWAT is a peer educator program designed to utilize trained students to promote healthy behaviors while reducing risky behaviors. SWAT Team members are peer educators professionally trained and certified by the BACCHUS Network Peer Education Training Program and by the St. Louis City Department of Health. · Reduce underage alcohol consumption and drug use amongst HSSU students. · Provide research based information to students about HIV/AIDS, drugs and alcohol and Hepatitis C.
· Identify the link between drug and alcohol use and other social issues such as poor academic performance, school retention, violence, and unhealthy relationships. Under the direction of Office of Counseling Services and in collaboration with the Office of Student Health Services, SWAT sponsors Rapid HIV Testing on the Dr. Henry Givens, Jr. Campus three days a week and on the Anheuser Busch School of Business Campus two days a week. SWAT also sponsors at least four opportunities throughout the year for on campus HIV blood based testing and STD testing in collaboration with the St. Louis City Department of Health and Planned Parenthood. · Completed at least 12 credit hours. · Currently enrolled in at least 12 credit hours. · Commitment to becoming a certified peer educator by participating in an 8 hour mandatory training. · Must commit to being drug free. · Must be a team player and enjoy working in groups. · Must complete and application and interview process.